Last month Oppo launched the RX17 Pro in European market, the R series is now coming to India with its first Smartphone, Oppo teased that Something new is coming up from their R-Series on Twitter. The R-Series is a Premium mid-range series of smartphone, Now it is confirmed that the phone is making its way to India on December 4.The Device will be featuring a 6.4-inch 2340 x 1080 pixels Full HD+ 19:9 Ratio AMOLED display with Gorilla Glass 6 protection. The same will have waterdrop notch and an in-display fingerprint sensor which can unlock the device in just 0.41 seconds. The Smartphone will be running on Opps’s Custom ROM ColorOS 5.2, which is based on Android 8.1 Oreo. Oppo R17 Pro is powered by an Octa-Core Snapdragon 710 SoC & Adreno 616 GPU Coupled 8GB of RAM and 128GB of internal storage. The Device is backed by A 3700mAh battery with the support for Oppo’s SuperVOOC fast charging technology. The Oppo R17 Pro sports a triple-camera setup (12MP + 20MP + 25MP), the 12MP sensor will have variable aperture. There is a 25MP Sony sensor for selfies. Talking about the price it could be around Rs 40,000. The phone has already been launched in China at CNY 4,299 (roughly Rs. 44,100), Although in India the price has not been announced. 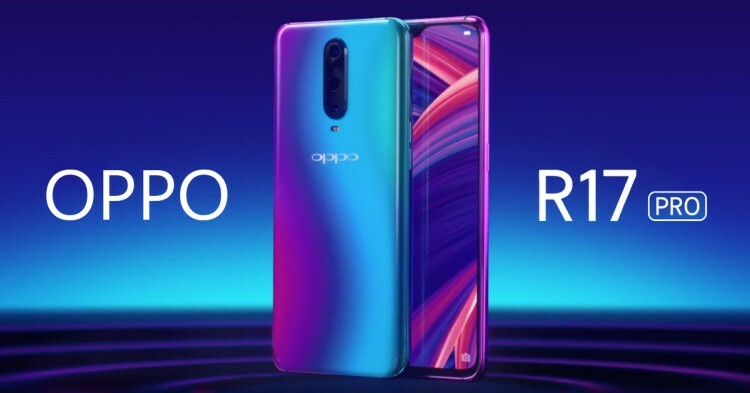 However to attract users the company should offer the phone with price lower than the OnePlus 6T because the it is a tough competitor for Oppo R17 Pro. Will you buy R17 Pro?, Comment below your thoughts and Stay tuned with Alloftop for more updates & details.